When Adobe Illustrator debuted in 1986, the Voyager 2 spacecraft was still in our solar system and a man, kicked out of Apple, had just founded a small animation studio called Pixar. Seventeen incarnations later, it still is the illustration tool of choice for graphic artists not on a budget The Best Vector Software for Mac Designers on a Budget The Best Vector Software for Mac Designers on a Budget Adobe Illustrator might be the gold standard when it comes to vector software for the Mac, but you don't always have to spend a fortune on design software. Read More . Now, Voyager 2 is one of the farthest man-made objects in space and Adobe Illustrator has found a permanent home in all the devices made by that Pixar guy. Why should I learn Adobe Illustrator? Can I learn Adobe Illustrator without any drawing skills? Where can I learn Adobe Illustrator for free? You can give voice to your design ideas. You can design your own logos 10 Inspirational Websites For Creating Your Own Customized Logo Designs 10 Inspirational Websites For Creating Your Own Customized Logo Designs Designing the perfect logo requires an in-depth understanding of the company, the product, the consumers, and the culture in which all these operate. But what if you are starting out with your own small business... Read More , business cards, and invitations. You can design your own PDF worksheets and boost productivity. You can make your own infographics 10 Of The Best Tools For Creating Infographics 10 Of The Best Tools For Creating Infographics The history of this visual science (or art) and tells us that infographics is by no means an invention of the digital culture. The only difference between then and now is the amount of information... Read More – a powerful visual presentation tool. You can customize resizable vector objects and use them in your documents, charts, and presentations. You can use it to make your own custom T-shirts. You can use it for quickly wireframing concepts. You can draw lovely cartoons! You Don’t Need Drawing Skills! Drawing is a foundational skill if you want to become an all-round graphic designer, Learn Digital Art from Scratch With These 22 Lynda Courses Learn Digital Art from Scratch With These 22 Lynda Courses With hundreds of online courses to choose from, Lynda.com is the fastest way to mastery of digital art. Here are a few courses to get you started. Read More but a lack of it shouldn’t stop you from approaching Illustrator. There are different types of graphic designs as well as different types of graphic designers. Adobe Illustrator is a versatile program that caters to a wide range of pursuits, including web designers and architectural planners. I learned quickly that in graphic design, all you need is the ability to quickly rough out a design concept. Actually, just about every industry uses Illustrator, from two-dimensional CAD designs in engineering fields to the greeting cards made by Hallmark. People designing watches use Illustrator, and people designing shoes use it too. It’s the standard tool for apparel design, including T-shirts, and almost all packaging design work is done in Illustrator — such as, say, the label for a wine bottle or the packaging of your favorite orange juice. It is true that an illustrator with drawing skills will have more opportunities, but it is equally true that a lack of drawing skills isn’t a make-or-break deal. It is important to have an aesthetic eye for good design and creative chops, mostly because today’s designers rely more on the computer than on traditional drawing techniques. A foundation built on design knowledge helps, however, so don’t stop practicing your drawing 10 Sites That Will Teach You How to Draw Well 10 Sites That Will Teach You How to Draw Well We all want to draw well. But, drawing skills can only come through daily practice. Go to these ten websites and their fantastic tutorials to begin your journey. Read More . With your confidence restored, let’s dive into the best tutorial sites that can help us begin Adobe Illustrator The Beginner's Guide To Adobe Illustrator The Beginner's Guide To Adobe Illustrator Want to get started learning Adobe Illustrator, but feel overwhelmed? With easy-to-follow instructions and plenty of annotated screenshots, this manual makes learning Illustrator simple. Read More for free. I have included examples of basic tutorials that anyone can do. The advanced tutorials are meant to showcase just what is possible with this software. Requirements include an installed copy of Adobe Illustrator and oodles of patience. Adobe’s own site should be the first port of call. 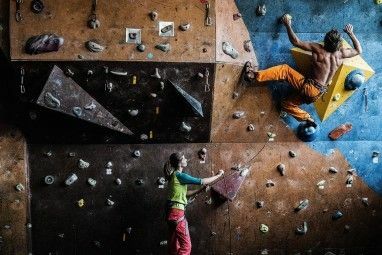 It is also the best organized one for beginner. Take the one-minute tour of Illustrator Creative Cloud and get started with the essentials. You will notice that the lessons ease you into the workspace and the basic techniques. I would recommend that you practice the Pen tool until you get it right. Have fun with the Pen Tool Game while you are at it. The Key Techniques section has more games and several projects. All tutorials are a mix of text and video. For some tutorials you might need other Adobe apps like Photoshop or their mobile apps. The parent site is worth checking out even if you have an older version of the software. The fundamental features are easily transferable and Adobe tells you about all the newer features. You can also catch all the videos on Adobe TV. Advanced Tutorial: Design a web layout on the go. Tuts+ is part of Envato and started out as a mixed bag of tutorial blogs, but has since distinguished itself as a premier creative resource. Much of the content needs a subscription but the site carries free content too – nearly 19,000 free tutorials across a range of topics. Start here and head to the Design and Illustration section where you’ll find a series of articles on Adobe Illustrator. Each tutorial has a comments section, for feedback and questions. Also, check out the series of articles collated on a single topic with Learning Guides. For instance: This collection of seven posts on simple silhouettes. Apart from the quality of articles, it is the community of Tuts+ users that makes this site rise above the pack. Community Projects are a perfect example of collaboration and creativity coming together. Creative Blog covers the entire gamut of digital arts from web design to visual arts. The makers are also behind design magazines like Computer Arts, ImagineFX, and 3DWorld. The frequency of Illustrator articles is high but you will find yourself browsing to articles that touch upon non-Illustrator topics too. The disappointing bit is the limited YouTube channel because video tutorials are often easier to grasp when a beginner is trying out stuff like complex masking techniques. Basic Tutorial: How to quickly build shapes in Illustrator. Advanced Tutorial: How to edit drawings in Illustrator with Image Trace. Blog.Spoongraphics is the main design blog of Chris Spooner. If the follower count is any indication, popularity isn’t a problem. Here, general design related topics intermingle with tutorials on Adobe Illustrator and Photoshop. There is also a video section with step-by-step instructions and videos hosted on their YouTube channel. There are freebies on offer as well. A paid membership gets you downloads of complete layered source files for all of Chris’s Illustrator & Photoshop tutorials and other stock bundles. Chris also runs a separate blog called Line25 that is focused on web design. This learning blog, which is completely dedicated to Adobe Illustrator tips and tricks, brings out fresh tutorials twice a week. Maintained by Ryan Putnam, this awesome resource has content going all the way back to 2008. The tutorials are well designed and marked with details like the program version, skill level, and time required to complete them. The site also accepts contributions from Illustrator virtuosos. Advanced Tutorial: Wam! Pow! Wow Your Audience with a Pop Art Vector! The personal blog from Asmaa’ Murad is more than a tutorial site. This graphic designer (and mother of two) hosts plenty of vector art downloadables, ranging from clipart collections to digital stamps and textures. The vector resources are for sale, but you can dip into the tutorials for free. There is no particular organization to the lessons here. You will find tutorials that take you just a few minutes to complete along with tutorials that are way more in-depth. Beginners should start with Learn How to Draw Vector (BASICs) — PART 1, which is a collection of her basic tutorials. Basic Tutorial: Create a smiley Face Basic tutorials. Advanced Tutorial: Visual walk through making of sugar skull illustration. Started by designed Tony Soh, Vector Diary is a wonderful resource with many Illustrator tutorials on offer. 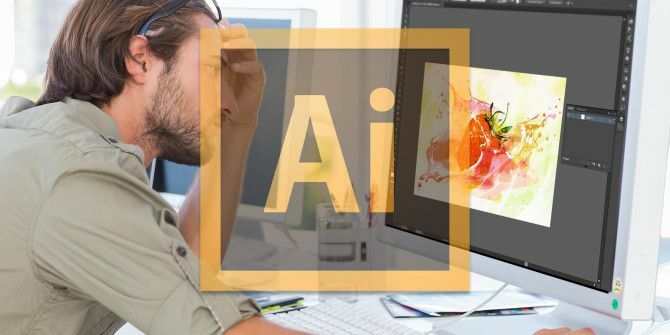 The first stop for novices should be the free Learn Adobe Illustrator in 30 Days Crash Course, then there’s the 101 Illustrator Tips & Tricks series (which is on number 26 as of now). The free tutorials cover everyday objects while the premium segment do a lot more. The good thing about Layers Magazine is the huge collection of graphic design tutorials, Illustrator included. The bad thing is that it is sporadically updated. The site’s Illustrator section seems to have gone dormant in November 2014, but don’t let that stop you from exploring the 150+ articles on Illustrator alone. Tutorials are a mix of text and video casts. In case you are tackling the entire Creative Suite, it’s a good place to be as the site covers the other Adobe graphic tools too. A few more places to check out at the beginning of your learning journey. DeviantArt: Just one of many vector art groups you can find on DeviantArt. YouTube: A list of all videos on Adobe Illustrator generated automatically by YouTube’s video discovery system. Pinterest: A virtual pinboard for Adobe Illustrator tutorials on the web. Learn Adobe Illustrator from Scratch: A free Udemy course with 41 lectures. Try this 11-hour course over a weekend to understand the basic Illustrator techniques. Do note that my selection of basic and advanced tutorial samples is from where I stand. I am knee deep in learning how to create infographics with Illustrator, and so far it has been smooth sailing thanks to online resources like these. But there’s still a lot to learn. Sometimes it seems there is no end in sight! Hopefully these resources help you as much as they have helped me. Use the comments to tell us how confident are you with vector art! How did you take the first steps? 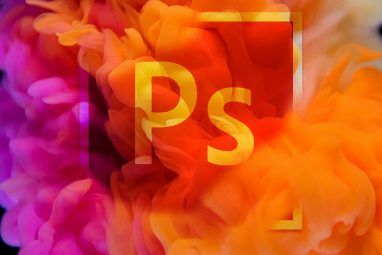 What advice would you give someone who is about to fall in love with the art that Adobe’s second best known tool can conjure up? Explore more about: Adobe Photoshop, Creativity, Digital Art, Drawing Software, Education Technology.